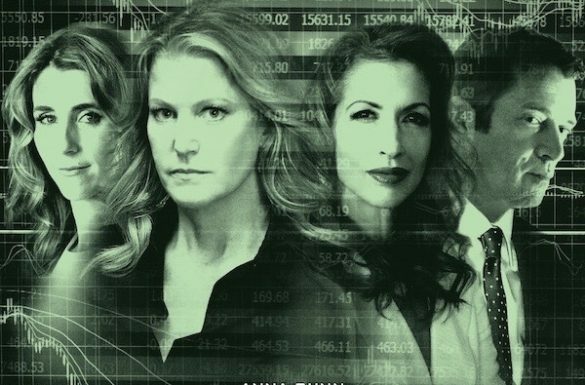 "EQUITY" the motion picture film written by Amy Fox, directed by Meera Menon and produced by Alysia Reiner and Sarah Megan-Thomas receives this year's THE VOICE OF A WOMAN AWARD for DRAMA. The ladies will be in attendance to receive the Award to close THE VOICE OF A WOMAN FESTIVAL on SATURDAY NOVEMBER 5TH at 7:30pm, followed by the After-Party til late. Salute to these creatives. Screenwriter Amy Fox will be joined by screenwriter/playwright Susan Sandler to deliver a Masterclass on the craft of Screenwriting. Do come and support women creatives and see what they're creating.